As a community of students concerned with political literacy and civic engagement, CAPE is disappointed with the comments made by the Vice Principal (VP) of Saint Joseph’s Institution (SJI) Mr Leonard Tan on the role and relevance of activism. Mr Tan had made those comments to explain SJI’s rescindment of its invitation to Ms Rachel Yeo, Director of Research & Advocacy at the Inter-University LGBT Network, to speak at TEDxYouth@SJI. Firstly, Mr Tan’s characterisation of activism as “socially divisive” is unfortunate and misinformed. Activism is not in and of itself divisive; instead, it exposes and reveals the inequalities and injustices that lurk beneath the facade of stability and harmony. For instance, it would seem ridiculous to accuse civil rights activists such as Baptist minister Martin Luther King Jr. in the United States and Anglican Archbishop Desmond Tutu in South Africa of causing social division for advocating racial equality and anti-discrimination. Short of being the cause of social division, a lack of activism merely masks such fissures, leaving marginalised groups to suﬀer in silence. Similarly, in the local context, female activists such as Mdm Chan Choy Siong of the the People’s Action Party and Mdm Khatijun Nissa Siraj of the Young Women's Muslim Association (PPIS) were responsible for the enactment of the Women’s Charter in 1961, which promoted gender equality and ended polygamy in Singapore. Without the commitment and contributions of such activists, women in Singapore may not enjoy the gender equality that we celebrate today. Activism is also not opposed to community-building. On the contrary, activism can help to build and strengthen communities, particularly those from minority or marginalised backgrounds. Community organising is also a key aspect of activism and requires individuals from diﬀerent walks of life to come together in support of a particular cause. This sense of solidarity is not unlike what Mr Tan believes Saint John La Salle achieved. An example is how migrant workers’ advocacy organisations such as the Humanitarian Organisation for Migration Economics (HOME) and Transient Workers Count Too (TWC2) have successfully brought Singaporeans and migrant workers together to build a more just and inclusive society. Finally, despite urging his students to “form your own opinion with all the information you can get”, it is ironic that Mr Tan decided instead to prevent his students a learning opportunity on the basis that Ms Yeo’s views are diﬀerent from those that the institution holds. This may set a dangerous precedent that blunts the principle of secularism in our schools. While a school may hold particular institutional beliefs, it should also respect the right of students to access knowledge from diﬀerent sources and perspectives, freely hold their own beliefs and engage in constructive dialogue with those who hold diﬀering opinions in the pursuit of truth and understanding. As students and members of the future generation of Singapore, we are concerned by how school administrators are depriving the young people of Singapore of opportunities to have honest and constructive conversations on important social issues. Mr Tan may be doing students from SJI and other schools a huge disservice with his careless, perplexing comments. 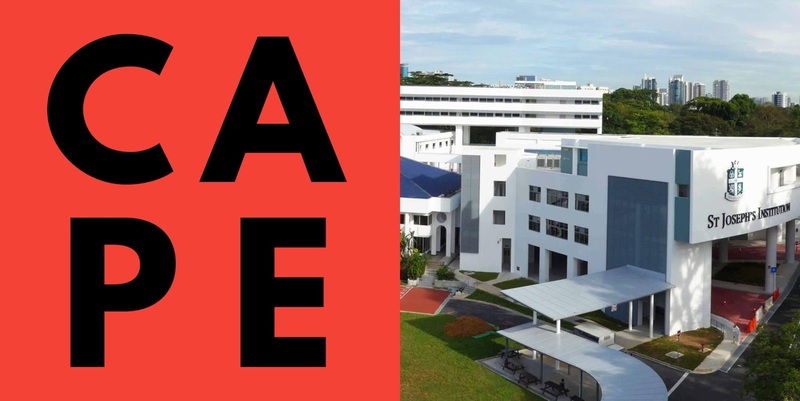 We call on the Ministry of Education and the SJI Board of Governors to review and address the underlying causes that resulted in this unfortunate controversy, and to take steps to prevent similar incidents from occurring in the future. CAPE, which stands for Community for Advocacy & Political Education, is a student organisation founded by students from Yale-NUS College and NUS Law. We aim to increase political literacy among young Singaporeans to make civil participation more accessible. This post first appeared on the FaceBook wall of CAPE. You may wish to share your perspectives and afterthoughts on the page itself. Poll: The National Library Board withdrew 3 children's titles with homosexual themes, then reinstated 2 of them on instructions of minister Yaccob Ibrahim. Feelings?